Wex and Exmo Coupons purchaser. Support currencies: USD, EUR, Bitcoin, Bitcoin cash... Take coupons from users. Crete your coupons. 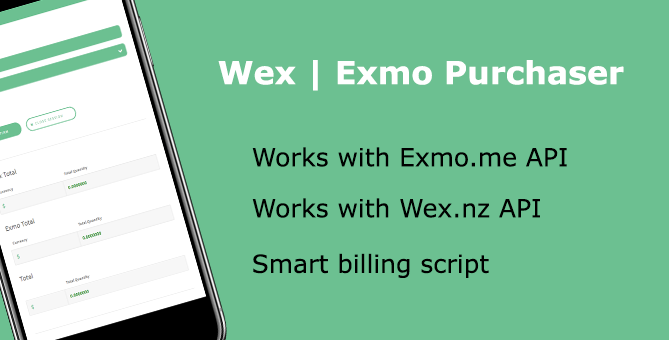 Exchange your exmo,wex finance. Note: You need to register your own API keys.